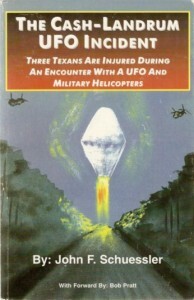 The Cash-Landrum Incident was a reported unidentified flying object sighting from Texas in 1980, which witnesses insist was responsible for damage to their health. It is one of very few UFO cases to result in civil court proceedings. It can be classified as a Close Encounter of the Second Kind, due to its reported physical effects on the witnesses and their automobile. On the evening of December 29, 1980, Betty Cash, Vickie Landrum and Colby Landrum (Vickie’s seven-year-old grandson) were driving home to Dayton, Texas in Cash’s Oldsmobile Cutlass after dining out. At about 9.00 p.m., while driving on an isolated two-lane road in dense woods north of Huffman, Texas, the witnesses said they observed a light above some trees. They initially thought the light was an airplane approaching Houston Intercontinental Airport (about 35 miles away) and gave it little notice. A few minutes later on the winding roads, the witnesses saw what they believed to be the same light as before, but it was now much closer and very bright. The light, they claimed, came from a huge diamond-shaped object, which hovered at about treetop level. The object’s base was expelling flame and emitting significant heat. Anxious, Cash considered turning the car around, but abandoned this idea because the road was too narrow and she presumed the car would get stuck on the dirt shoulders, which were soft from that evening’s rains. The witnesses said the heat was strong enough to make the car’s metal body painful to the touch—Cash said she had to use her coat to protect her hand from being burnt when she finally re-entered the car. When she touched the car’s dashboard, Vickie Landrum’s hand pressed into the softened vinyl, leaving an imprint that was evident weeks later. Investigators cited this hand print as proof of the witnesses’ account; however, no photograph of the alleged hand print exists. From first sighting the object to its departure, the witnesses said the encounter lasted about 20 minutes. Based on descriptions given in John F. Schuessler’s book about the incident, it appears that the observers were southbound on Texas state highway FM 1485/2100 when they claimed to have seen the object. The initial location of the reported object, based on the same descriptions, was just south of Inland Road, approximately at 30.0926°N 95.1109°W. Investigators later located a Dayton police officer, Detective Lamar Walker, and his wife who claimed to have seen 12 Chinook-type helicopters near the same area the Cash-Landrum event allegedly occurred and at roughly the same time. These other witnesses did not report seeing a large diamond-shaped object. One day in April 1981, a CH-47 flew into Dayton. As Colby watched he became very upset. Vickie decided to take him to the spot where the helicopter had landed with the hope that it would seem less frightening on the ground. When they reached the landing zone, they found a lot of people there already and had to wait some time before they were allowed to go inside the helicopter and talk to the pilot. Vickie and another visitor both claim that the pilot said he had been in the area before for the purpose of checking on a UFO in trouble near Huffman. When Vickie told the pilot how glad she was to see him, because she had been one of the people burned by the UFO, he refused to talk to them further and hustled them out of the aircraft. After the UFO and helicopters left, Cash took the Landrums home, then retired for the evening. That night, they all experienced similar symptoms, though Cash to a greater degree. All suffered from nausea, vomiting, diarrhea, generalized weakness, a burning sensation in their eyes, and feeling as though they’d suffered sunburns. The Landrums’ health was somewhat better, though both suffered from lingering weakness, skin sores and hair loss. However, Brad Sparks contends that, although the symptoms were somewhat similar to those caused by ionizing radiation, the rapidity of onset was only consistent with a massive dose that would have meant certain death in a few days. Since all of the victims lived for years after the incident, Sparks suggests the cause of the symptoms was some kind of chemical contamination, presumably by an aerosol. Vickie Landrum telephoned a number of U.S. government agencies and officials about the encounter. When she telephoned NASA, Landrum was steered toward NASA aerospace engineer John Schuessler, long interested in UFOs. With some associates from civilian UFO research group MUFON, Schuessler began research on the case, and later wrote articles and a book on the subject. Astronomer Allan Hendry of CUFOS also briefly investigated the Cash-Landrum case. 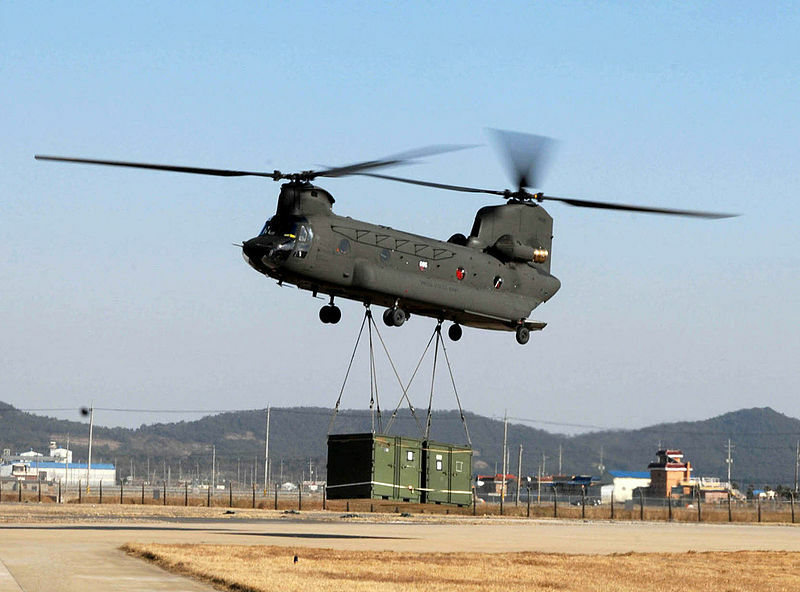 Due to the Chinook helicopters’ presence, the witnesses presumed that at least one branch of the United States Armed Forces witnessed the object, if they were not escorting or pursuing it. However, investigators could find no evidence linking the helicopters with any branch of the military. Eventually, Cash and Landrum contacted their U.S. Senators, Lloyd Bentsen and John Tower, who suggested that the witnesses file a complaint with the Judge Advocate Claims office at Bergstrom Air Force Base. In August 1981, Cash, Landrum, and Colby were interviewed at length by personnel at Bergstrom Air Force Base, and were told that they should hire a lawyer, and seek compensation for their injuries. With attorney Peter Gersten taking on the case pro bono, the case wound its way through the U.S. Courts for several years. Cash and Landrum sued the U.S government for $20 million. To read a newspaper article about the filing of the lawsuit, click here. On August 21, 1986, a U.S. District Court judge dismissed their case, noting that the plaintiffs had not proved that the helicopters were associated with the U.S. Government, and that military officials had testified that the United States Armed Forces did not have a large, diamond shaped aircraft in their possession. Coincidentally, Betty Cash died at the age of 71 on December 29, 1998, exactly 18 years after her close encounter. Vickie Landrum died September 12, 2007, seven days before her 84th birthday.